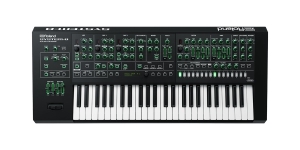 JD-XA released in 2015 became the first synthesizer made by Roland, which featured the latest technology of combined sound synthesis. 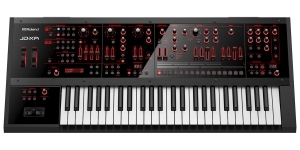 The creators named their brainchild "crossover synth", which is poetically equivalent to the "crossroads of the two worlds" - analogue and digital sound synthesis. That's right, it's not just a hybrid synthesizer which used to feature digital oscillators (or wavetables) and analog filters, or analog oscillators and digital effect overlay. This is a full-featured combination of "two-in-one", i.e. 2 synthesizers, analog and digital smoothly interacting with each other and placed in one housing. The main one according to many experts is, of course, a digital synthesizer operating on SuperNATURAL technology, having a 64-voice polyphony and a 4-part multitimbrality, each of which has 3 subordinates to it (12 interconnected parts). Oscillators featured standard saw, rectangular wave, square wave with PWM, triangular wave, sine wave, and also a mix of waves. 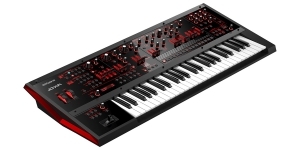 The analog synthesizer has an elaborate architecture, which, nevertheless, doesn’t compare in complexity with such confident leaders as DSI Prophet `08 or even Modal 008. 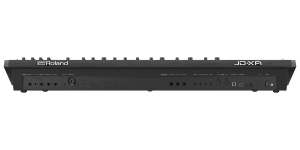 JD-XA has analogue digitally controlled oscillators, which Roland deliberately and simply calls OSC, i.e., the company doesn’t reveal neither the origin nor the type of the sound generating source. This fact gets slightly "muddied" with some comments made by people who couldn’t understand why not call it DCO? And if it’s not classic DCO, or even not actually digital, then the whole analog+digital concept collapses? However, there are 4 voices and 4 oscillators onboard. Oscillators generate standard saw, rectangular wave, square wave with PWM, triangular wave, sine wave. The low frequency oscillator (LFO) also has a wide choice of waveforms - a triangular wave, a sine, a sawtooth wave, a rectangular wave, S&H, random. Analog multitimbrality - 4 parts. The filter range is amazing for both synthesizers – and they’re analog by the way. There are 3 types of LPF; HPF, BPF, bypass for both synthesizers, and Variation for a digital synthesizer. JD-XA also has ADSR envelopes for filters and gain and AD for pitch, a large selection of effects, a powerful pattern sequencer with SMF standard music file import support, extensive arpeggio capabilities. As for the interface - everything is alright. The synthesizer has a four-octave dynamic keyboard with aftertouch. Different controllers are thoughtfully laid out on the front panel - buttons, encoders and sliders for all the main functions. 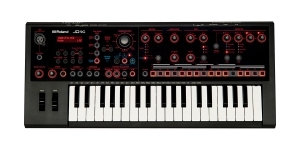 There is both a global stereo audio output, and a separate one for an analog synthesizer, 2 assignable wheels and a pitch/modulation lever, MIDI input and output, two USB ports (for a computer and for a drive), as well as multimode CV/Gate outputs for control signal transmission to analog synthesizers and sequencers. The variability of JD-Xa allows it to adapt to the new trends like a chameleon, because unlike the classic analog synthesizer, which when released lives only one life before revision or “discontinued” status, it is enough to update the software in a hybrid synthesizer and have it back in service. 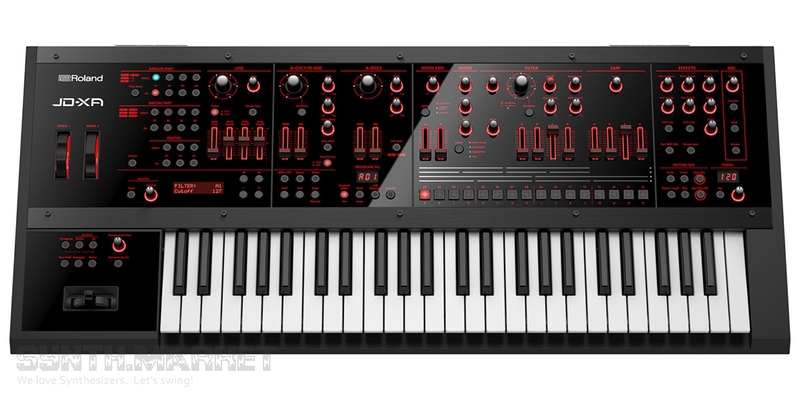 In addition, Roland JD-XA is simply handsome, although it doesn’t possess that Fantom chic with its light-alloy body, but still is quite sleek in its black plastic housing with glossy panels and red illumination. And it looks very harmonious - it has ideal dimensions, thoughtful ergonomics and light weight. Try it, you won’t regret it!